Pressed glass is one of the glories of the industrial revolution which began in England around the 1760s and which was in full swing by the 1850s, making Britain the export powerhouse of the world. In the year 1800 if you had glassware in your kitchen or dining room you were rich. Glass was either cast and then cut on a wheel by a craftsman or blown by a skilled glassblower. This made it expensive and only affordable by the rich and upper class. The industrial revolution changed all this, as it did so many other things. The ability for a less skilled workman to make a hundred or more individual items a day brought the costs of glassware down dramatically and open the way for ordinary people to own them. Suddenly the merchant and middle class could afford to own glassware instead of ceramics such as stoneware. Glassware was lighter, more colourful and greatly more stylish. They could buy pressed glass ware which imitated the cut glass of the rich to which they aspired. An explosion of creativity, industrial ingenuity and commercial growth followed, leaving us the legacy of millions of items from the ordinary to the bizarre, from the amazingly beautiful (“glass art”) to the hideous. Referred to in many terms such as victorian glass, pattern glass, antique glass, vintage glass, depression glass, carnival glass and slag glass, pressed glass refers to the manner of manufacture and most modern glass is made in this way. What’s most interesting to me about this period of change is the social changes which both allowed and reinforced the role of industrial production in glassware and in many other consumer and commercial items. Pressed glass was very demanding to produce. Despite this, in the early industrial period a large number of firms sprang up. 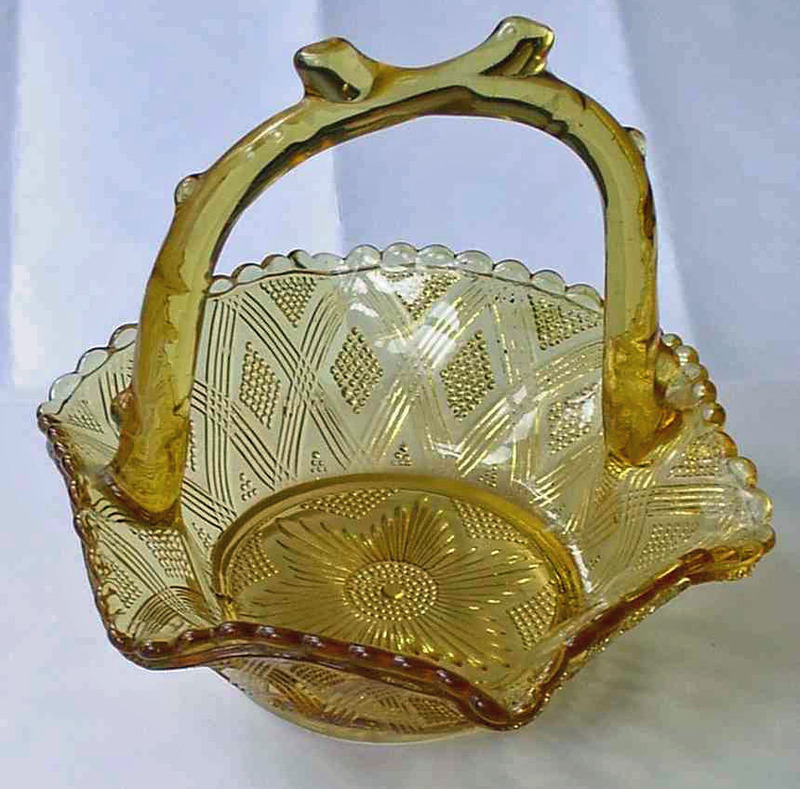 They existed to supply the requirements for glass articles varying from lamp chimneys, jugs, sugar bowls, posy bowls, vases and decorative items of all kinds. The Midlands and the North-East of England were the main areas. The businesses were located close to the availability of raw materials coming by sea or canal.